Post Sandy, the flood plain maps were redrawn and the building sits in that area as well as parts of the empty lot. I also thought there could be no further development on the beach proper. The 5th major “accidental” fire in the northeast section of Ocean Grove in 9 years. So with the former pool/bathhouses gone due to suspicious fire and now the former North end building(s) gone due to suspicious fire the stage is now set for the North End developement plan to happen . Surprise . Surprise . Not . After Sandy, in November 2013, FEMA reversed its original decision, when a group of federal and state lawmakers found documents saying the boardwalk has been recognized as public property and dedicated as a “PUBLIC ROADWAY since at least 1908. Based on this FEMA gave funds to rebuild the boardwalk. Today you state that “a building permit cannot, according to State law, be issued for a structure that is not on a street. 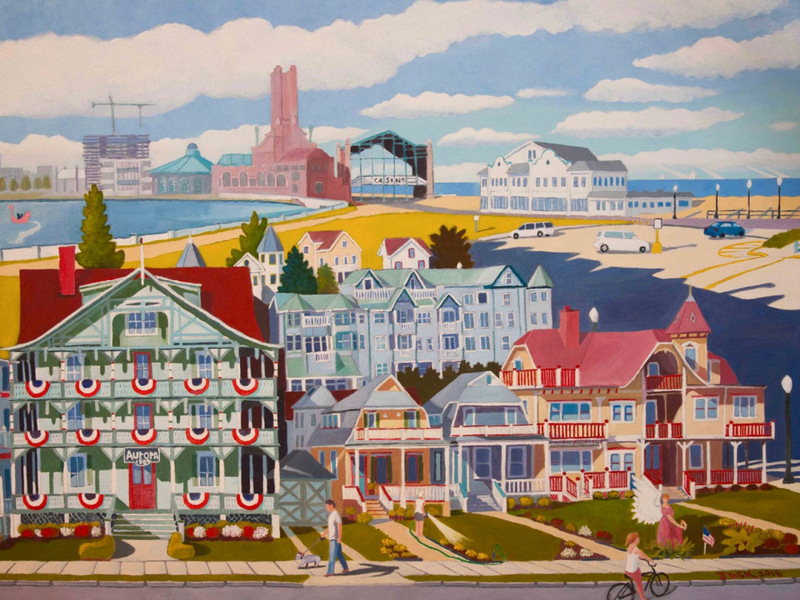 The Boardwalk is not a street,” This is completely inaccurate!! Both federal and state lawmakers found the boardwalk to be a public roadway since 1908, thus giving this building an address is permittable by law. You can’t have it both ways – it is a street when we want federal funds, and it’s not a street when some residents object to the building. Old Timer, you couldn’t be any more incorrect and misleading. The Boardwalk is a part of Ocean Grove’s sidewalk system. RSIS established mandated minimum State-wide standards for streets and sidewalks. Neither Lake Avenue nor the boardwalk meet the required minimum standards to be recognized as a street by the State. Mr. Bredin is correct. The boardwalk is not a street. A public right of way, but not a street. Editor’s note: The person who wrote this (and other comments) should give us his/her real name for this opinion to have credibility, because he is asking us to believe his assertions regarding a serious matter including making reference to Federal laws. Jack and Kevin always provide their real names. So, for those who want to be anonymous, please give us and our readers the respect of using the same pseudonym with each comment, other than “Anonymous,” so at least we can get a sense of who is saying certain things repetitively. Changing a pseudonym with each comment is cheap game playing, and we will be watching for that so that Blogfinger isn’t victimized by such manipulations. As for the FEMA ruling on the boardwalk, I was involved in reporting on that ruling during the Camp Meeting’s efforts to be reimbursed for the boardwalk. The CMA acting President, Ralph del Campo, informed us as to what was going on. Federal law was never mentioned. 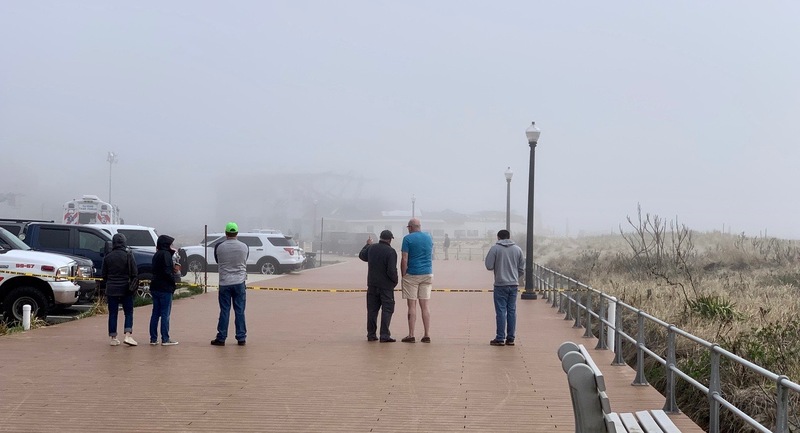 FEMA changed its ruling following an appeal by the CMA which was based on their arguments about how the boardwalk in this area functions as a public thoroughfare for the safety and welfare of the citizens. Blogfinger also pushed for that logical conclusion, and Federal laws were never mentioned, as far as I know.